ZIP and DIL sockets for Fast RAM. 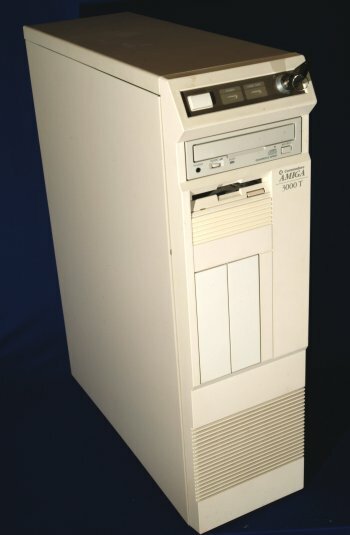 It is easy to assume that the A3000T is the same as the A3000 but shipped in a full tower instead of a desktop case, however the A3000T is infact a totally separate motherboard. 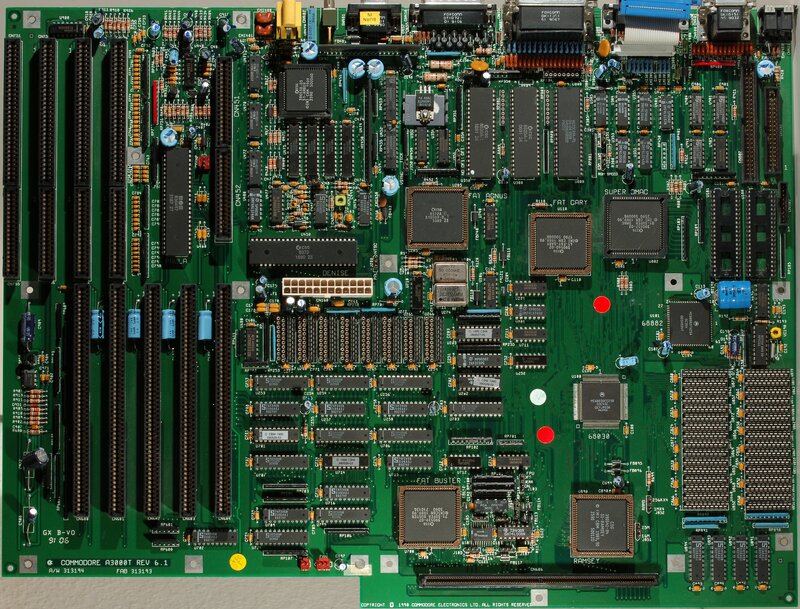 The A3000T is a huge machine and probably has the largest motherboard of any Amiga, including the A4000T. It is similar to the A3000 but offers far more expandability. 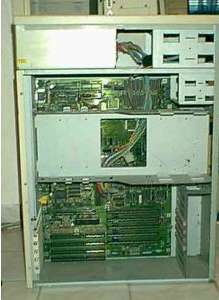 The Zorro and ISA slots are fitted directly onto the motherboard rather than being on a daughterboard (riser card) as they are in the desktop A3000. The A3000T probably has a small amount of NVRAM designed to hold the configuration settings for the SCSI controller which is the same chipset as in the desktop model. The A3000T also has a keylock and has an internal speaker for playing native audio, however external speakers can still be used. 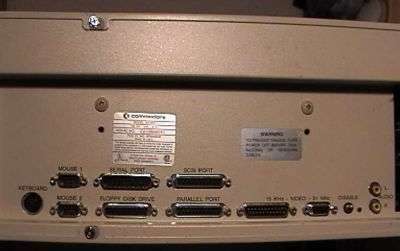 The A3000T contains a builtin scandoubler which allows PC type SVGA monitors to display the native NTSC and PAL Amiga screenmodes, which can be disabled with a switch on the rear. Page contributors: Greg Scott (National Amiga), Peter Holy, RiWa & Friends.